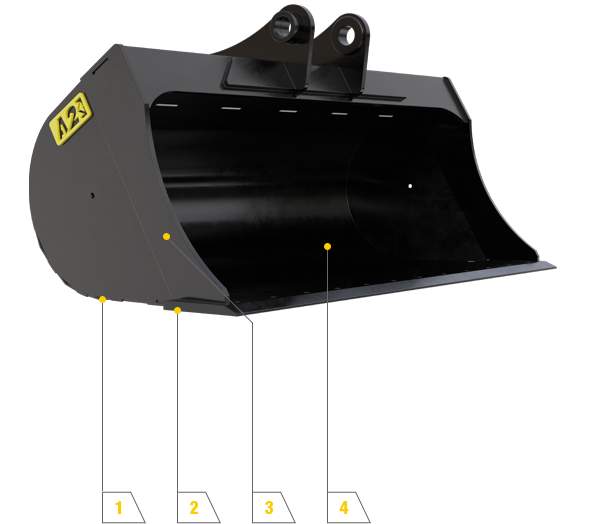 The A2 wide bucket is designed to improve the efficiency of your machines. Suited to a wide range of tasks such as ditching, grading, material handling, backfilling and much more, these buckets can be used with a normal coupler or a tilting coupler. Now comes standard on all Wide Buckets from 5 ton and up. This gives you an extended lifetime of the bucket, reducing wear to the cutting edge. This is to help while digging at a tilted angle. All front styles, wear strips, cutting edge and bucket wrap is made of BIS 400 grade steel, increasing the longevity of the bucket. This helps extend the lifetime of the bucket and helps strengthen it. 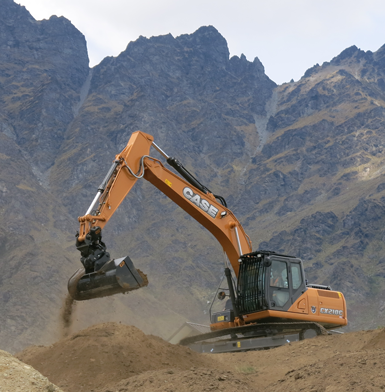 This gives greater breakout force, allowing you to maximize the power of your excavator without compromising on capacity. All Wide Buckets from 5 ton up come with Bolt on Cutting Edge giving you extended lifetime of the bucket, reducing wear to the cutting edge. * All prices are in $NZD, excluding GST and Freight. Pricing and specifications are subject to change without notice.